I was in a quandary if I should bother reviewing this download-only prologue to Dead Rising 2. After a few moments of reasonably hard thinking though I decided that it’s worthy of coverage, seeing that Capcom wants you to hand over cold hard cash for it. Well, 400 MS Points. If this were merely a demo then to charge for it would be an outrage. Fortunately though it’s a nice little package that feels rather complete, with easily a good three hours of play to be had and 12 achievements to unlock. Skills that you learn here will be carried over to the full game too. Although the rundown town of Still Creek – in which the prologue is set – is small it has a casino, bowling alley, cinema and a few hardware stores fully stocked of weapons for your zombie bashing needs. The first mission is for lead character Chuck to find some Zombrex medicine for his daughter, then after that it’s a quest to find five motorbike parts so that the two of them can flee the town. Presumably Chuck arrives in Las Vegas on his handcrafted bike and this is where the full game will start off from. Along the way there are some survivors to help and a boss battle near the end. All the while a watchful eye has to be kept on the time – Still Creek is set to be stormed by the military at 8pm. 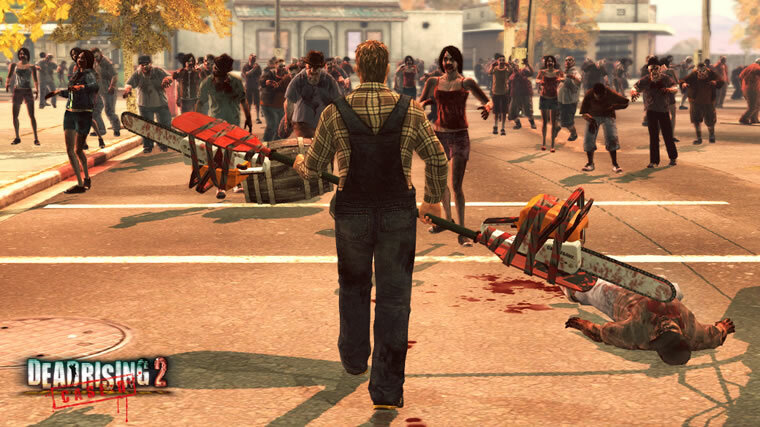 If you’ve been keeping tabs on the previews then you’ll know that the Dead Rising 2’s big new feature is the ability to combine weapons. There’s a little bit of trial and error in the process but you can create some twisted arsenal if you’re patient. The bucket drill which you can stick on a zombie’s rotting head a fine example. The boomstick – a shotgun with a pitchfork strapped to it – is pretty cool too. Every time a new weapon is made a trading card is added to your collection which is an amusing little touch. If Case Zero is anything to go by then like the original there’s going to be a fair amount of backtracking – all five motorbike parts have to be painstakingly carried back and forth. And also like the original, it looks like that it’ll be wise to save often and make more than one save file – if you screw up a survivor rescue or waste too much time messing around then there’s no way to ‘try again’ other than to reload a previous save. Visually it looks a bit more detailed than before – the draw distance has certainly been improved – but it isn’t a massive leap. For those that have been patiently waiting for Dead Rising 2 this taster will make the time up until its release a bit more bearable. 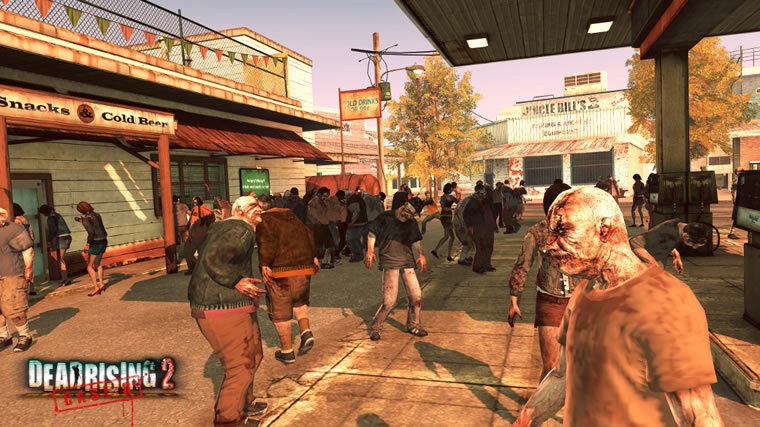 Even if you weren’t planning to buy Dead Rising 2 it’s worth a download – like a zombie chewing on a fat guy, there’s plenty to get your teeth into.